Here begins my trawl through the books published for WHFRP 2nd edition, which I'll discuss in order of publication. The line got off to a rather disappointing start, so the first couple of posts are going to be fairly downbeat. Better days lie ahead. The core book of the new edition, and the first one in which the authors had to confront the problem of reconciling WHFRP circa 1985 with Warhammer Fantasy Battle circa 2005. In particular, they had to deal with the fallout of 'the Storm of Chaos', a 2004 Warhammer event which involved the Empire being invaded by a giant army of chaos warriors. The moment WHFRP 2nd edition accepted the Storm of Chaos as canon - presumably under instruction from Games Workshop - it set itself apart from some important elements of the earlier edition. No longer could chaos be something subtle and hidden, like the Mythos in Call of Cthulhu, something that most people could forget about or live in ignorance of or only half believe in. For a citizen of the Empire to not believe in the chaos gods after the Storm of Chaos would be like a Russian not believing in Germans circa 1946. The core of the system - careers, percentile roles, fate points, insanity points, etc - remains intact, though some of the more unnecessary stats have been merged together. Careers still tend towards low-lives, and indeed many of the newly added careers - bonepicker, camp follower, charcoal burner - tilt the balance even further towards the lowest of the low, though some of the weirdest and most colourful first edition careers, like Bawd and Raconteur, have disappeared. Careers are also more international than in first edition, with minor chances of PCs being a 'Kislevite Kossar', 'Norse Berserker', or 'Estalian Diestro' rather than an Imperial citizen. (Whether the addition of three national stereotypes - Russian cossack, Viking berserker, Spanish duellist - represents an actual improvement is another matter.) Skills and talents have been differentiated from each other, and skills can now be taken more than once, though many of the weirder first edition skills - Clown, Embezzlement, Numismatics - have been cut. The combat system is largely unchanged, though I was somewhat sad to see that the infamous first edition critical hit tables have been toned down a bit. Back in my first edition days, my players got so familiar with the tables that they used to chant in unison the magic words: 'Death-from-shock-and-blood-loss-is-IN-STAN-TAN-E-OUS! The magic system is heavily changed, ditching the old 'magic point' system, and incorporating the 'eight colleges of magic' from Warhammer Fantasy Battle. This gives it a more interesting spell list than the original, which was mostly cribbed from D&D, but at the cost of another concession to high fantasy, with the Empire now apparently maintaining eight different colleges of colour-coded battle wizards. Each religion also gets its own spell list, and Sigmar has been upgraded from a mere 'lesser deity' into the most significant divinity in the setting. Malal and the Gods of Law seem to have disappeared between editions. Magic items have been cut almost entirely - so no more street thugs wearing enchanted Boots of Bovva! This is followed by a very brief introduction to the nations and races of the Old World, a short bestiary - nineteen entries, compared to 110 (!) in the original - and an introductory adventure which is little more than a single encounter swathed in ten pages of needless padding. There's nothing wrong with WHFRP 2nd edition, exactly, and its core system looks cleaner and more functional than that of 1st edition. It's not a complete game in the same way as its predecessor - the bestiary and setting information, in particular, are so obviously incomplete that they act as little more than teasers for The Old World Bestiary and Sigmar's Heirs, both of which were published a few months later - but that's just how RPGs tended to be published at the time. (How else were you going to get people hooked on the supplement treadmill?) But if it had appeared first, it's impossible to imagine it having the same impact as the original. Your blow smashes through the arm and into the chest, caving in one side of the ribcage. The arm is completely destroyed, and blood showers yourself and your opponent. Your opponent collapses dying almost instantly from shock and blood loss. Killed in whatever spectacular and gore-drenched fashion the player or GM cares to describe. The same retreat into blandness keeps recurring everywhere, with the arguable exception of the magic system. The edge of vivid craziness is gone from the lists of skills and careers: the second edition just won't let you randomly roll up a super-numerate travelling hypnotist who is also an amateur cryptographer, or a dancing beggar with a natural talent for bribery. The fact that WHFRP 1st edition included skills for begging, bribery, public speaking, street fighting, and embezzlement communicated a huge amount about the kind of world it was set in, and their disappearance from 2nd edition is not a trivial loss. [EDIT: Bart Cuppens points out that Public Speaking and Street Fighting are still in 2nd edition, just as talents rather than skills.] All the weirdest stuff from the bestiary chapter - the fimir, the death elementals, the Daemons of Law - is gone, never to return in second edition. And the art, needless to say, is greatly inferior to the original. Within the cities of the Old World, and in the unholy groves of the deep forest, decadent humans honour the foul Gods of Chaos. To the majority of humans such things remain a mystery, and few imagine the perils posed by their own kin. Well, they're not much of a mystery in WHFRP 2nd edition, let me tell you. Chaos has gone from being a hidden threat in the darkness - 'underneath the deepest sewers and culverts, the doom of Chaos gnaws at the bowels of civilisation' - to an overt enemy which everyone is openly fighting all the time, and apparently have been for the whole of history. The result is to turn the Old World, with its distinctive mixture of Renaissance optimism and self-destructive decadence, into something much closer to Generic Sub-Tolkien Fantasy Land, with the embattled forces of Team Good struggling to hold the line against the wicked armies of Team Evil. Finally, the sample adventure is pretty weak even on its own terms, but looks even worse when placed next to the sample adventure from first edition, 'The Oldenhaller Contract'. The rest of the line would go on to make painfully clear that, whatever their other talents, the second edition's authors had no idea how to write RPG scenarios. Their idea of an 'adventure' was straightforward railroad from one pre-scripted scene to the next, with player agency kept to an absolute minimum. Quite why they thought this when they must have had branching adventures like 'The Oldenhaller Contract' right in front of them is unclear to me. I can only assume that they'd absorbed some very bad GMing advice over the course of the 1990s, and thought that their wretched scene-based railroads represented a genuine improvement over the adventure design of the 1980s, possibly because they had 'stronger stories'. Image from 'The Oldenhaller Contract'. Now that's how you use a railroad in an adventure! If I was running WHFRP today, I'd strongly consider using the WHFRP 2nd edition system, albeit with all the weird and wonderful skills, careers, and monsters from 1st edition added back in. But I'd stick with the 1st edition tone, setting, and adventures every time. Shilling here, since you enjoy the setting of warhammer so much, but have you checked out Symbaroum? Its been out for a couple years and already desperately needs a 2nd edition, but the setting and the lethality of magic reminds me a lot of Warhammer. I've not read it, no, but honestly I now feel I've seen so many Warhammer-esque dark fantasy settings that they've all started to merge together into a blur of mutants, cultists, and men in broad-brimmed hats. What's Symboaroum's USP? Fair enough. Symbaroum is Scandinavian fantasy, main selling point is the setting and the simple, classless rule-set. Can be very lethal since your health pool doesn't level, and using magic+artifacts+entering magical radiation causes you to gain corruption, which will turn you into a monster if you take too much. OK - so it's Scandinavian-themed rather than German-themed? That's something to distinguish it right there! Great write up - I completely agree with your views on setting. It helps that I never touched the wargame, so the setting changes to 2E really never made any sense to me and always kept me firmly routed in 1E, regardless of which edition's mechanics I might be borrowing. However, I'm not sure I agree completely with your analysis on how adopting the WFB canon changed the tone of the game. "The result is to turn the Old World, with its distinctive mixture of Renaissance optimism and self-destructive decadence, into something much closer to Generic Sub-Tolkien Fantasy Land, with the embattled forces of Team Good struggling to hold the line against the wicked armies of Team Evil." As the followup supplements would make clearer, the nominal "good guys" were still pretty awful, in many ways more so than in 1E. While 1E's Empire and various churches were generally corrupt, complacent and inefficient, in 2E we basically get a fascist theocracy much like in Warhammer 40K, with a similar confusion on whether we're really taking the piss out of said fascist theocracy or celebrating it. Actually if I had to summarize the development of WFRP canon in 2E it would be "40K-ization". 2nd Edition world is post-war and it by itself gives some interesting problems and atmosphere, eg. ruined cities, refugees, maimed or demoralized veterans etc. I agree, but... it's not as though the Old World was short on war and violence before, is it? And all through 1st edition, the looming threat was the empire civil war. It was about the danger that chaos might manipulate us into destroying *ourselves*. Not so much about the danger that a zillion chaos warriors might march over the next hill. I'd say that, early on, chaos was more... impersonal? It was more like entropy. Like, thousands of years ago some space frogs fucked up and punched a hole in reality at the north pole, and at some point the long-term side effects of that are gonna reduce all life on the planet to formless protoplasm, but that doesn't mean that chaos cares about you personally. I think all the stuff about the chaos gods being shaped by the souls of humanity came later. Remember that in 1st edition there were innumerable gods of chaos, rather than just four. There were also gods of law to counter-balance them. It's only after the publication of 'Slaves to Darkness' and 'The Lost and the Damned' that the idea took root that the Warhammer universe might be fundamentally built on lust, rage, nihilism, and ambition. The darkening of the nominally good factions has a practical use for a tabletop wargame in that it makes it easier to narratively justify more kinds of matchups (although this has always been easier in Warhammer Fantasy, and aesthetics were another huge motivator for the change). I also think that one of the most interesting things Warhammer did is to make Chaos a supernatural force without providing any supernatural counter-balance. It's a really neat take on the Moorecock and Lord of the Rings ingredients of the Warhammer pastiche that mixes cosmic horror with an apocalyptic, ragnarok scenario where the forces of entropy can never be overcome, only delayed. Sigmar and the Emperor have power, but they're deified humans. Chaos seems to just be a law of the universe. To me, mid-2000s Warhammer hit a sweet spot where a lot of the game's fiction seemed to be aware that the Imperium and Empire were monstrous and unsustainable, and that the horror of the setting came from how the miserable conditions of the empires were both a reaction to the threat of Chaos and also an accelerant to Chaos' spread. However, as more people who grew up as uncritical fans of the game start to direct the game's fiction, both Fantasy and 40k got more fascist. The bigger a literal, physical threat Chaos became, the more the abuses of the various Empires seem justifiable. If political dissent, reading bad books, or getting too into surrealist art can cause actual, literal demons to pop out and rampage around, then brutal repression of all of those things is a logical response. The horrible status quo becomes an active good that must be zealously defended. Modern Warhammer sells the trappings of maturity and seriousness, but it isn't subversive anymore. 1) Originally there absolutely were gods of law in Warhammer. Their role in the setting was increasingly taken over by the Church of Sigmar, instead. (As I note, Sigmar was originally just a lesser deity!) This is probably for the same reason that chaos crops up so much more than law in Moorcock's fiction: it's much easier to tell stories about it! 2) I'm pretty sure that a lot has been written about how the Warhammer and 40K settings gradually forgot that they were satire over the course of the 1990s. (Is there still a Black Planet of Birmingham in modern 40K? I bet there isn't.) I agree that making chaos a more immediate and existential threat was a major part of it. Even the soppiest liberals will usually tolerate martial law when the enemy is literally at the gates. Not to mention the evolution of the portrayal of witch-hunters. In 1E, they were generally portrayed as Matthew Hopkins-like figures who were, like the corrupt aristocracy, part of the problem and generally more likely to be burning harmless village wise-women than doing anything useful against Chaos - and, even more interestingly, they were usually implied to be rogue agents with only very doubtful official backing (much like Hopkins', in all probability spurious, claim to have a licence from Parliament). Yes, that's also a good point. The gradual move of witch hunters from 'antagonistic nutcase you have to deal with during an adventure' to 'default PC archetype' would probably be worth a post in itself! Yeah. And also going from the equivalent of "disreputable bounty hunters" to "elite police taskforce". I'd love to read that post. As you point out the move was gradual - we're seeing the beginning of this even in some later 1E stuff. While you haven't gotten to the necessary splatbook yet, looking at the second edition bibliography as a whole, it feels like the Skaven took over for Chaos as the hidden threat that nobody really believed in. They did, although the books weren't really consistent about just how secret the skaven were supposed to be. 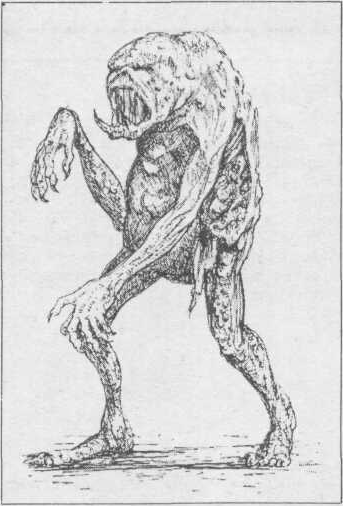 But the way they took up the role of 'terrible looming threat in the shadows' is one of several reasons why 'Children of the Horned Rat' is much my favourite book of the WHFRP 2nd edition line. Interesting read and a good analysis. My group grew tired of the bland criticals as well, but there was some excellent fan material to be found online (we use a 10 page list written by a medical specialist :D ). On a sidenote, public speaking and street fighting are definitely available in WFRPv2 (though I can't remember if they're Skills or Talents). You're right - they're in WFRP 2 as talents. I've edited the post. There was clearly a lot of good fan material for WFRP 2 - more than there ever was for WFRP 1, due to the much more developed state of the internet. I hope to write about some of it in a subsequent post!